Is it time to have your brakes inspected or replaced? Do you have any of these common brake problems? Do you hear a squeaking sound when you apply your brakes? Are you hearing a squealing sound? Do you see brake fluid leaking from your car's master brake cylinder or at the wheels? 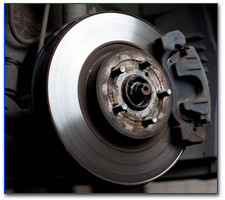 Do your brakes feel soft or spongy as you apply the brakes? Are you shopping for the Best Cost for brake pads and rotor replacements? Are you looking for brake experts - specialists? West Adams provides high quality at discount pricing for the inspection and repair of your complete braking system. 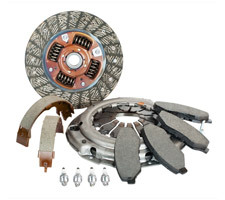 We stock rotors, pads, brake shoes for foreign and domestic cars and trucks. We only use OEM quality parts, including Akebono, Bendix, Pagid and Raybestos. Our brake specialist can quickly diagnosis your brake problems. From a rear breaks (misspelled on purpose) pads & front brakes drums, to new and turning rotors and installing new master cylinders, we are your brake experts We remain successful because of our customer commitment and our brake repair experience. We stock all brake parts for sale that you can install. Yes, we will provide a brake repair estimate, including the cost of brake pads and rotors. Call us Today for a free estimate. Did you damage your brake lines? We do complete brake replacement line repairs. We do not call it cheap brake service, but brake service at a reasonable price. Stop by today for a brake check and our brake specials. Please, do not compromise your family safety by putting off your car's brake service. 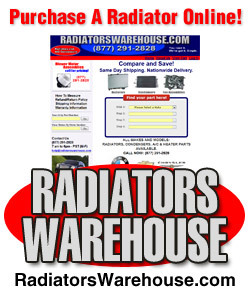 Why should you trust West Adams Radiator to service or repair you car? Please visit our West Adams Advantage Page for our history . Are You Interested in the History of your Brakes? You have probably heard the term, a motion in action will continue unless stopped. First, there were drum brakes, but as horsepower increased, the need for improved braking systems we apparent to engineers. The first drum braking systems were actually made from wood blocks, which were pressed against the steel wheels with a lever. You may have seen this in Model T type cars. They became obsolete in the 1890's. It is reported that the Michelin Brother were the first to develop the drum brake when the created the rubber tire. The drum brake is still used today, and is supported with hydraulic fluid power. By the 1920's the power brake was in use on most expensive cars. However, the drum brake could become ineffective in wet weather. In the 1950's the disc brake was introduced by Chrysler, however is did not catch on until 1964. The vehicle weight and speed we just too much for the drum brakes. In 1964 engineers solved the problem of the use of proper power assist to the master brake cylinder and each of the disc brake pistons. Today we have efficient and smooth vehicle breaking.